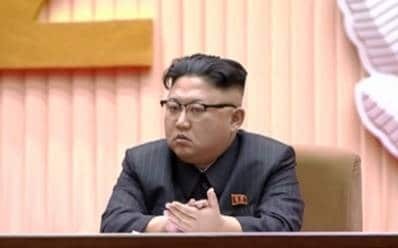 Seoul, April 13 (IANS) North Korean leader Kim Jong-un has said he is willing for another meeting with US President Donald Trump to reach an agreement on denuclearization if Washington has the right attitude, the state media reported on Saturday. "If the US proposes holding a third North Korea-US summit with a right attitude and a right method, we have a willingness to do it one more time," Kim said during a speech on Friday on the second day of a 14th Supreme People’s Assembly session. His comments were published by Pyongyang’s state news agency KCNA. "I will not hesitate in signing an agreement only if it is written in a way that meets the interests of the Democratic People’s Republic of Korea and is fair, mutually acceptable and this will entirely depend upon with what attitude and calculus the US would come up with," he added. Trump and Kim met for the first time in Singapore 2018. However, a second summit in Hanoi in February broke down over denuclearization steps. The US leader said North Korean officials sought economic sanctions lifted in their entirety in exchange for disabling a major nuclear site, provoking him to walk away. Pyongyang, however, disputed Washington’s account of how the negotiations broke down. In March, North Korean Vice Foreign Minister Choe Sun-hui accused the US of taking a "gangster-like" stance and said it had thrown away a "golden opportunity" in Hanoi. Kim had earlier said the summit had created a "strong doubt" in him over whether the US genuinely wanted to improve relations. But he added that his personal ties with Trump remained "excellent". The North Korean leader on Friday said that he will wait until the end of the year to see if Washington makes a "courageous decision". Kim gave his speech a day after Trump said he was open to meeting again with the North Korean leader.